I’m on vacation, so trying to get out the word is problematic! I hate using that little touch pad on my laptop. 🙂 But I wanted to let you know about the brand new story I have out that is part of Susan Stoker’s Kindle World! Well, here it is! I hope you love it! It’s just $1.99, so it won’t break your pocket book! 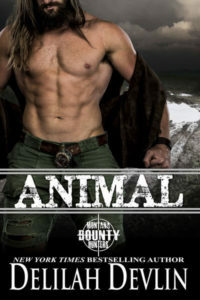 The last person world-class sniper, Wolf Kinkaid, expected to see in the crosshairs of his rifle during an operation to take down a drug cartel assassin…was his pretty, bounty hunter wife. 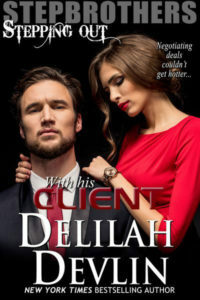 He takes the shot, disarming the bad guy, but the assassin wasn’t working alone, and now, Piper is a target for revenge. AFTER their Happy Ever After? This entry was posted on Tuesday, November 22nd, 2016 at 6:00 am in About books..., Contests!, News. 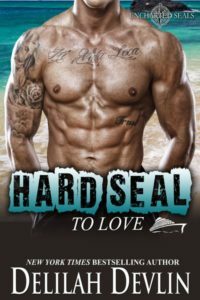 Tagged: romantic suspense, SEAL, Uncharted SEALs. You can feed this entry. Both comments and pings are currently closed. I definitely love to read about what is happening to the couples after they get their HEA. I want to know what their future holds. Thanks. Yes, I absolutely like reading about what comes after the HEA/HFN; I think that’s why I love books with epilogues so much. I can’t wait to read Between a SEAL and a Hard Place! I do. I like to see them happy and content or facing a challenge together. I love seeing characters I have met before again… get a little update on them within someone else’s story. Yes. 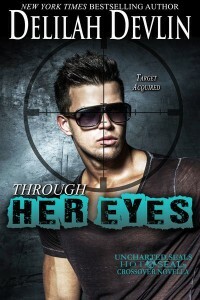 I definitely like to read about characters I have been following through their HEA. It’s what makes having them show up in other stories later such fun. You get to find out what has been happening to them.